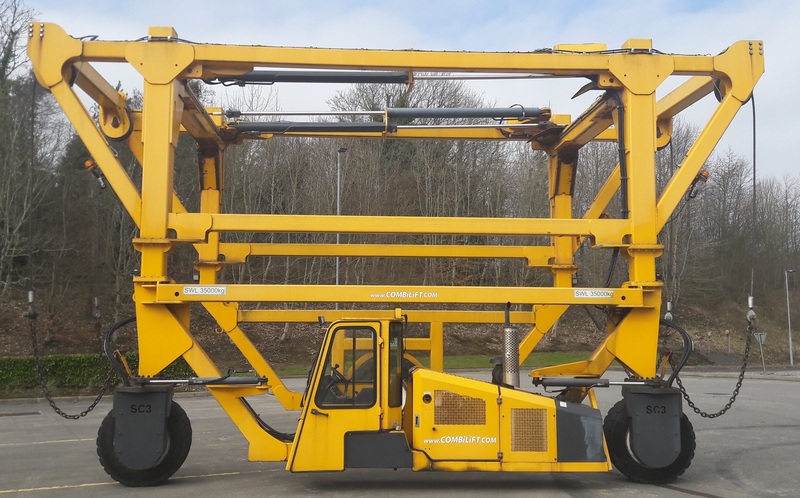 The Combilift Straddle Carries has the following capabilities – 35,000kg Lift capacity. Capable of handling 20ft, 30ft, 40ft and 45ft containers via chains. Used for moving containers from trailer to ground and to eliminate containers being left on trailers for long periods of time. Offers complete independence when moving very large fully laden containers and other oversized loads around sites. Typical application moves 5 to 7 containers per hour. Can be easily broke down and moved to a new location. 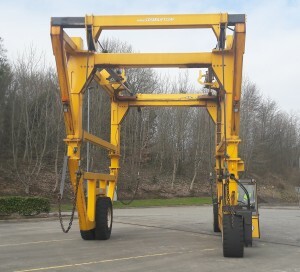 It is a much more economical option for companies compared to heavy handling forklifts, reach stackers or mobile cranes.